The mortgage market in Spain is continuing to pick up speed. We are still a long way from the volume of new mortgages that we saw during the property bubble, but recently we have seen double-digit growth in lending month after month. In Malaga over the first three quarters of the year there have been over 10,000 new loans signed, an increase of 14% over the same period in 2015. In Andalucia there were 4,788 new home mortgages in September. This is a 24.6% increase over August 2016, and an increase of 5.4% when compared to September 2015. The market has changed this year with the Euribor no longer being the sole guide around which the market revolves. If you are looking for a mortgage you need to be aware of that and to shop around and compare offers. Competition amongst lenders is strong at the moment and this could work in your favour. Fixed and mixed mortgage rates are now dominating the market once ruled by the variable rate. 30% of mortgages signed in September were on a fixed rate which is a quota never reached before. This is fed partly by the negative Euribor and the tightening of regulations surrounding the “floor” clauses. Using a fixed rate guarantees some level of profitability for the lender during the early life of the loan. The main appeal of a fixed rate loan is stability, knowing that your payment will remain the same despite fluctuations in interest rates. And because interest rates are now at historical lows, banks are offering the loans at fixed rates lower than we have seen before in Spain. Loans up to 15 year terms are being offered with rates under 2%. For loans of 20 years of more you can find rates of between 2% and 2.5%. These are seemingly attractive to buyers who are aware that the historical average of the Euribor is 2.38%. Variable rate mortgages are even starting to be sold with a fixed rate period at the beginning of the loan cycle to ensure some level of profit for the lender during the first few years against the possibility of loaning against a negative Euribor. The period is usually a year or two, although in some cases it can be up to 10 years. According to Bankimia, only 18% of mortgages currently available offer a variable rate from the outset. Since the courts determined that the floor clause was “abusive” they have disappeared from new mortgages. However, banks have introduced a new type of clause in variable rate loans: the Zero clause. This clause ensures that the bank will not have to pay interest to the borrower in the case of a negative Euribor rate. Banks have also learned not to loan more than 80% of the property’s appraised value, and in many cases the percentage drops to 60% if the loan is for a second home. Additionally, the appraisal value of the house is compared with the purchase value and the lower of the two is commonly chosen as the determining value. The small print on your mortgage contract has and continues to grow. 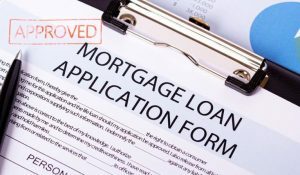 As interest rates are lower than ever there are all kinds of products and criteria linked to your mortgage: customer loyalty, payroll accounts with minimum deposits, life and home insurance policies, pension plans, credit cards… the list goes on. Commonly, the better the loan conditions agreed, the more linked products the bank requires. For example, to take a mortgage with Liberbank Mortgage Selecta, with a starting fixed interest rate of 1.75% for the first 2 years, followed by a spread of 0.80% on the Euribor, you must also take out life insurance, home insurance, a pension plan and a credit card with a minimum expenditure of 3,000€ per year, as well as a payroll account with a minimum monthly deposit of 3,000€. You will find there is plenty of property for sale and the market is definitely recovering but beware if you need a mortgage. If you are not prepared to take out some extra products along with your loan you may not be offered such preferable rates. Shop around. Gather as many offers as you can and ensure you read all the small print. Are you able to take some extra products? It may put you in a better position to negotiate. If all you want is the mortgage you can still get some good offers. Try showing Bank A that Bank B will give you a better rate without life insurance and you may be able to persuade them to make the same offer. As always with a mortgage, read the small print and be sure you know what you are committing to before you sign.